Once again Christmas time is coming nearer and like last year I want to prepare a book of diagrams that will be sent to all participants. 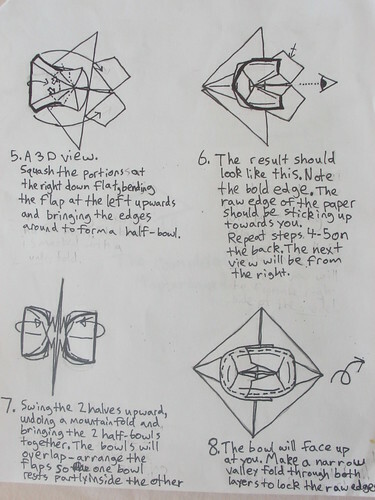 It's a book from creators to creators containing previously unpublished instructions only. Everyone who wants to participate sends me (at least) one previously unpublished folding instruction. Afterwards I assemble them all into a pdf-file with a table of contents and send it back to all participants. In the end everyone of them gets a nice compilation of diagrams that aren't available elsewhere. The last date to send your instructions is December 15. * Do I need to send computer drawn diagrams? No, hand drawn diagrams or other clear instructions (photo or text) count as well. * Can I send more than one diagram? Yes of course, as much as you want. * Can I have a copy of the book without sending something in? * Have the models to be Christmas related? No they don´t. Christmas is just the date you will receive the book. * Can I send Crease Patterns and Text Instructions as well? Yes, but make sure to also send a picture of the finished model. Diagrams are preferred. * How many participants contributed last year? 32 Authors have sent in a total of 49 Models, five of them as Crease Patterns. The finished book contained 149 pages and was 24MB in size. Contact me if you need help with the diagrams-it is my first attempt at diagramming, so things are probably a little unclear. Good job on that mortarboard Jonnycakes. 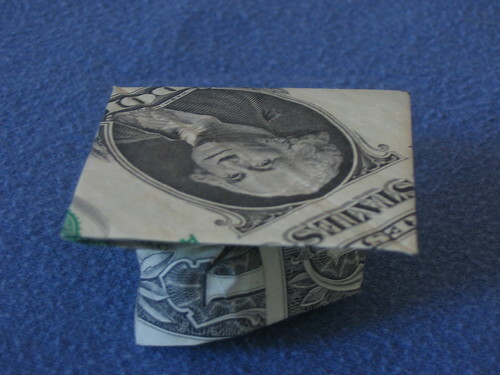 Try folding it from a square. Use the bottom half of the square exactly as this model. Then pleat the top half of the square to form the ribbon thing that hangs down (if you know what I mean). See if that works? Good work on the diagrams. I'm very sorry, but for the book you would have to send me unpublished diagrams in private to the above mentioned adress. Please read the first post of this topic once again carefully to find out why. I will try some Cp and a diagram for this book as last Xmas! I will send you diagram of my gifaf beetle and of my fiddlers crab. It seems to me that this years book will become fantastic. The diagrams I got so far are of very good quality and I hope that there will be soon a lot more of these. Hmmm, can I also send diagrams for my Simple Mew? It involves gluing and drawing, but is a very good model to teach young kids (preferably those who like Pokemon). Glueing and drawing? Only if it is really necessary, but well you can send the diagrams. There are only 14 days left to get your submissions in, so if you haven't drawn diagrams yet now is the right time. Oh, I almost forgot about this! Luckily for me, I have my cat diagrams. The only person whos seen them is alisher_navoi (who I think said that he was interested in this). I might try diagramming something else, too. 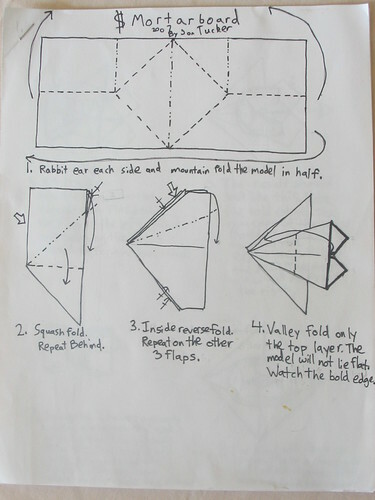 I will send diagrams of my origami train. I've been trying to email my Chikorita diagrams, but it won't work for some reason Can I upload it on Rapidshare and give you the link through PM, Anna?